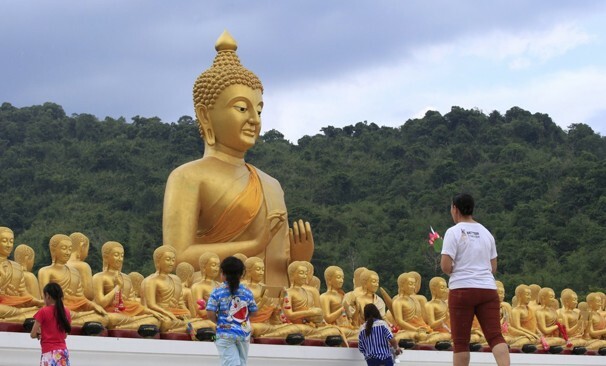 A family takes an offering of lotus flowers to pay respects to a giant Buddha, surrounded by more than 1,000 smaller Buddha statues, on Wesak Day in Nakhon Nayok, Thailand. Buddhists throughout the world offer blessings at temples to mark one of the holiest days in Buddhism, commemorating the birth, enlightenment and the death of Buddha. 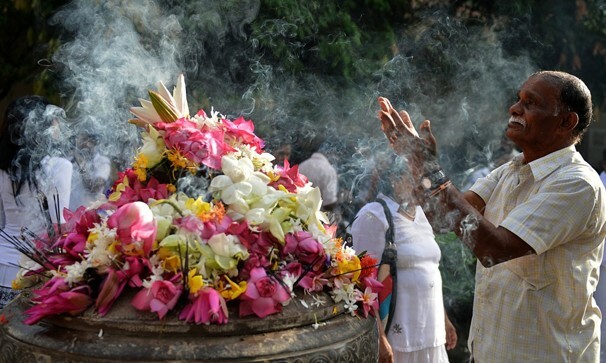 A man prays at the Kelaniya Temple during the Wesak festival in Kelaniya, a suburb of Colombo, Sri Lanka.